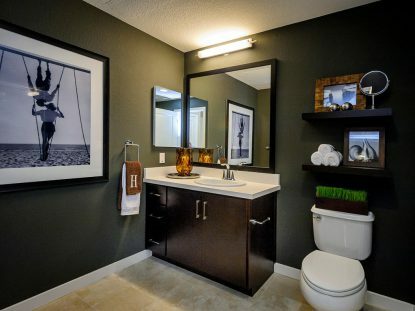 Apartment dwellers in Foster City, CA appreciate updated bathrooms in their apartment. These elegant touches can turn your bathroom into a soothing retreat. Nothing personalizes a space more than your selection of artwork. With thousands of choices and hundreds of color variations, choose a painting you love. Your bathroom is a humid environment, so don’t invest in priceless artwork that might mildew or warp. Art buyers love browsing the choices from online retailers like Art.com or GreatBigCanvas.com. Canvas art is a durable choice. Art.com provides first-time art buyers a quiz to help discover their style. For an elegant touch, choose fine art by painters like Monet, or Van Gogh, abstract art or photography of lotus blossoms, serene beach locations or the Bay Bridge or San Francisco skyline. Choose good quality towels made of Pima or Egyptian cotton. Thick, thirsty towels provide a luxurious bathroom experience. Not only do they look elegant, they provide comfort. Choose a color that coordinates with the colors found in your artwork. Aquas, teals and earth tones are perfect choices to attain that feeling of elegance and serenity. Don’t forget what’s underfoot. Choose matching plush rugs to create an ultra-serene feeling. But bathroom rugs don’t have to match. New choices include jacquard textures, pebble textures or faux fur. Wooden bathmats made of bamboo or teak lend sleek elegance. Luxury bath items include the soap dish, tissue holder and trash can. Choose a matching set to avoid a cluttered look. Matte metal finishes or neutral stone finishes lend another layer of elegance. Add fragrance with a reed diffuser. With selections ranging from spicy and woodsy to citrus and floral, a reed diffuser supplies fragrance and adds an elegant touch. Complete your elegant new bathroom look with a decorative ladder. Available in different wood and metal finishes, complete your bathroom with a floor storage unit. Not only are fresh towels at hand, these units display your towels and other accessories to avoid clutter. If you’re looking for a beautiful location that’s convenient to the San Francisco Airport or the San Manteo-Hayward Bridge, The Plaza in Foster City offers an ideal location. The Plaza offers outdoor amenities like a swimming pool and Zen garden, is pet-friendly and provides interior details you will love. Call or visit today to view the available floor plans. Are you thinking about having your friends over for a patio party but want something beyond traditional burgers and hot dogs on the menu? 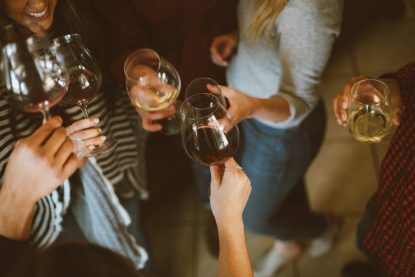 If you’d like to keep the quintessential patio party vibe going but with food more suitable for adults, you’re in luck—plenty of options exist for beverages, burgers and hot dogs that won’t remind you and your guests of a child’s party. Following are several suggestions designed to provide residents of apartments in Foster City, California, with inspiration for fare that tastes like summer but doesn’t resemble kid’s food. Ice cold lemonade brings to mind lazy summer days and balmy evening breezes perfumed with the scent of garden flowers, and it’s even better when used as the base for adult beverages. Mixing it with your favorite fruit-flavored vodka in a tall glass with shaved ice takes standard lemonade to a whole new level. You can also mix it with Champagne and a splash of peach brandy, strain it through shaved ice and serve it in an oversized martini glass. If you want the ease of grilling burgers but without the beef, consider making grilled salmon patties. Simply combine canned salmon with bread crumbs and eggs, shape the mixture into patties, and grill them over medium heat for three minutes on each side. These burgers are excellent topped with blueberry salsa and lettuce. Lamb burgers are another mouthwatering alternative to traditional beef burgers. Season ground lamb with cumin, allspice, red pepper, coarse salt and cracked black pepper. Cook the patties five minutes on either side if you like them medium rare, and six-to-seven minutes for medium and well-done burgers. Serve them with feta cheese for a Greek accent and a side of spinach salad with hot bacon dressing. Other options for burgers-without-beef include emu, turkey and chicken. Bratwurst provides a delicious alternative to traditional hot dogs. Beer brats are excellent choices for al fresco feasts fit for adults. To make sure everyone gets a brat that hits their sweet spot, set up a condiment bar and let your guests create their own culinary masterpieces. Instead of paper plates full of strawberry shortcake, consider a slice of angel food cake drizzled with lemon or raspberry sauce and topped with a bit of chilled whipped cream. The Plaza is a brand new apartment community offering resort-style living. Call us today to find out more about amenities such as our gourmet kitchens, peaceful Zen garden, outdoor pool with cabanas, spa and much more. With the summer season upon us, the temperatures will begin to rise, and along with the sun may be some fairly hot days as well. Beat the heat and stay cool in your Foster City apartment this summer by following the tips below to keep cool even on a steamy summer day. Dark and fitted clothing can cause you to retain body heat which will make you sweat when temperatures begin to soar. Stock your closet with fun and fresh light summer colors that are loose fitting and flowing to keep your temperature down and give your body a little room to breathe. Most people know that drinking hot soup can warm you up. The same theory holds true for cooling down. Drinking ice-cold beverages can help lower your body temperature from the inside keeping you from becoming overheated. It is also vital to drink more during the summer as you will lose more water from your body when sweating and dehydration occur if you don’t replenish your fluids. While the sunshine may be beautiful during the peak times of the day, that bright afternoon sun can beam in your windows and raise the temperature of your apartment. Instead, enjoy the morning sunshine or a beautiful California sunset and draw your shades, blinds, or drapes during the afternoon. This will help keep your apartment cooler and save you on your energy bill. Whether you are relaxing in your apartment or enjoying a jog, neck wraps are an easy way to lower your body temperature and cool down quickly. All you have to do is soak them in water and wrap them around your neck. The summer season is the perfect time to take advantage of the pool at your Foster City apartment. If you are expecting some warm temperatures for the day, plan to get your daily exercise in by doing a few laps around the pool, or take the time for an evening swim at the end of a hot day to cool you off. Don’t let the summer heat make you sweat; follow the tips above to cool off and enjoy the sunshine. Looking for a great apartment with a pool to help cool you off? Stop into The Plaza luxury apartments to find the best floor plan for you. The summer season is the perfect time to relax, unwind and bring in a little of the beautiful sunshine for the season. 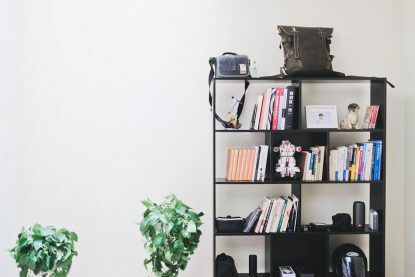 There is no better way to start off summer than by following these summer decor tips to brighten up your Foster City apartment. Clear the way for some extra light in your home by removing dark items and cleaning up cluttered areas. 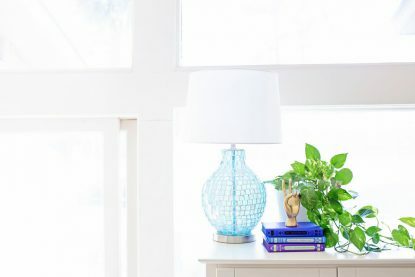 Put away blankets and winter decor to help let your apartment fill with light and feel the summer sunshine all day long. Take advantage of the wonderful flower availability this time of year and decorate your mantel, dining room table, or shelving with some live plants or vases of cut summer flowers. Not only will you enjoy the aesthetic benefits, but you also can take advantage of the fragrance of the flowers as well. While fragrances such as cinnamon and evergreen can be great smells during the cold months, summer is time to trade out those candles and room deodorizers with some citrus, ocean breeze, or coconut scents to bring you the feel of carefree days on the beach. While creating a full-scale beach may be an impossible feat, you can still bring a little bit of the beach back with you to enjoy in your home. Find some unique vases or go old school with some mason jars and create some sand creations, making sure to add in some shells or unique stones. Decorate your mantel or end tables with the vases, and add a few shells around the base to complete the look. This season, bright colors are the trend in summer home decor. Think bright blues, yellows and oranges when choosing accent pieces or adding pops of color such as throw pillows and rugs. If your walls are neutral, add some color to those as well with a unique piece of art featuring bold and bright colors. If you have curtains or drapes, tie them back with a bright piece of fabric to allow the sunshine in during the day. Embrace the summer season by implementing some of the summer decor tips listed above. If you are looking for a new apartment to try out your new summer decor ideas, call or stop by The Plaza luxury apartments to inquire about available floor plans. The scorching heat of summer calls for innovative ways to keep your body temperature low. Most of you tend to find the idea of drinking a glass of iced coffee as an excellent way of getting rid of the excessive heat. If you think that iced coffee is simply letting your hot coffee get cold as you relax in your Foster City, California apartments, then we need to talk. 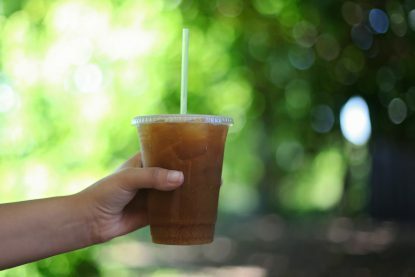 If you are used to buying your favorite iced coffee from a vendor, then you need to start preparing your best homemade iced coffee today. There are lots of ways to make iced coffee at home, but we shall only dwell on a single method that will give the best drink. Equipment: You will require a coffee grinder and the French press. Start by grinding the coffee beans until they become coarse, to allow easy filtration by your French press and are sufficient to infuse. You should grind right in-between the fine, and you are good to go. Combine your ground coffee with the filtered water in the French press. Add more coffee to the French press, and top off with one-and-a-half cups of water. Once you have the mixture in your French press, stir gently until the coffee and the filtered water are well-blended. Put your French press lid in position and ensure that the plunger is in its upright position. You can let the coffee mixture stay overnight in the refrigerator. Leave the plunger in the upright position, even as you place the mixture in your refrigerator, to allow the grounds to absorb the filtered water overnight. Remove your mixture from the fridge the following day, and plunge to separate the grounds from the coffee. Conduct this step with a lot of care, if you want to achieve the desired results at the end. To make your sweet iced coffee, fill your glass/cup with ice cubes and fill it halfway with milk (optional). Fill the remaining half of the glass/cup with the iced coffee you prepared. Gently stir to obtain a fine mixture and start enjoying your homemade iced coffee. One thing that you have to remember as you prepare your iced coffee in your Foster City apartments, is that if your French press is larger, then you can make a more significant amount of iced coffee using the same ratio of water to ground coffee. Are you looking for a nice apartment in California featuring a wide range of amenities and high-quality finishes? No need to worry; The Plaza in Foster City is here for you. Contact us today and experience the difference. Statistics show that at least 70 million Americans suffer from chronic sleep problems. If the sleep pills and other forms of medication aren’t doing you any favors, then you need to turn your head and seek alternative solutions. One of the best ways you can use to deal with your sleep problems is by incorporating a few yoga poses in your sleep ritual. Yoga has numerous meditative elements that can help you deal with your daily stress. The good thing is that yoga doesn’t always have to be vigorous and time-consuming. 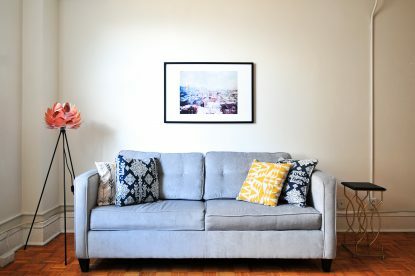 A few poses in your Foster City apartments can go a long way in making you feel better. Here are some yoga poses for better sleep. This move will take you between seven and eight minutes. Lie flat, facing upwards, and bring your knees closer to your chest. Next, cross your leg ankles, and then slowly wrap both your hands around your shins while clinching them. Breathe in, and raise your whole body to the sitting position, breathe out and roll back. Repeat this for one minute, then roll back, extend your legs and arms and drift to a comfortable sleep. To perform the child’s pose, drop your hips back to your heels and move your chest between your thighs. Make sure that your toes are touching each other while your knees should be as wide as possible to ease your posture and make you comfortable, allowing you to breathe deeply. Rest your forehead on the ground or couch, and stretch your hands out in front of you. Roll your forehead from one side to the other on the ground to give yourself a face massage. Do this for about five minutes before you go to bed. This is another simple yoga pose that you can perform in your apartments in California. Start by extending your left leg straight out, then slowly bend your knee to a 90-degree angle. Slowly flex your right foot, and slowly place it on top of your left knee, such that your right shin stays stacked on top of your left. You should move your left foot closer to your pelvis if you feel some pain in your hip joint. Move your head forward as you breathe out, while slowly increasing the hip stretch. Stay in this position for about one minute and repeat the same on the other side. This is an incredible yoga move if your tummy problems have been denying you sleep. Roll both of your knees towards the left side of your body while pulling down your right shoulder towards the ground. Now turn your head to the right and press down your knees with your left hand. Stay in this position and count up to six breaths, and repeat the sequence on the right side of your body. Are you a resident of Foster City, California looking for stylish apartments with excellent amenities, such as a pool and spa? Look no further, since The Plaza luxury apartment living in Foster City offers more than that. Contact us today and let us move your life to the next level. The kitchen is one of the areas in your apartment home that needs the most cleaning. From food preparation to foot traffic, this part of your home can end up with grime and dirt without regular cleaning. Fortunately, there are several simple and fast ways to make sure that your kitchen stays as clean as possible on a regular basis. The handles and doors of your fridge can get dirty easily from all the times they’re touched. Wipe these down daily or every few days using a damp cloth to remove grime. With just a couple of minutes of cleaning, you’ll have a fridge that looks clean and shiny. The inside of your microwave is easy to overlook, but it can be covered in food stains that are hard to remove when you let them sit. Take a few minutes a day or every other day to spray a bit of cleaner inside your microwave, then wipe it down with a cloth. This should remove food particles and stains before they have a chance to harden. If you tend to have dishes sitting out on your counter for days after they’ve been washed, make a habit of putting them away once they’re dry. If you don’t want to wait, you can dry them with a towel, then put them where they belong. This helps keep your countertops from looking cluttered. Your sink’s surface can be coated in grime when it’s not cleaned regularly. You can stop this from happening by wiping it down on a daily basis. Use a cloth and multi-purpose cleaning product to quickly get rid of any grime that’s starting to build up. Do a quick sweep in areas that are usually the messiest places in your kitchen, such as near counters where you prepare food. This is a fast and convenient way to get rid of crumbs and other food particles on your floor, so they won’t attract bugs. When you’re preparing food, don’t leave all the ingredients sitting out on the counter until you get around to cleaning up later. Instead, put them back immediately after you’re done using them. This makes it easier to keep your countertops clean. 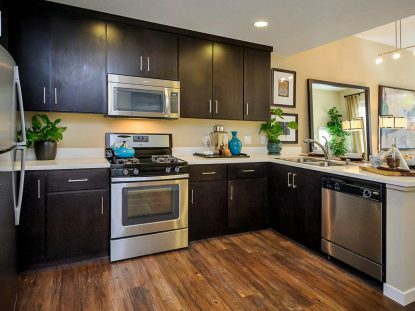 The kitchens in our luxury apartments in Foster City CA feature stainless steel Whirlpool appliances, stone countertops and espresso flat-panel wood cabinetry. Contact us for more details on our apartment features and community amenities. When you live in an apartment, you might find that you don’t have quite as much storage space as you need. The good news is you don’t have to rely only on closets to store your belongings. You can create your own storage solutions that won’t take up much space at all in your home. Hooks can provide you with convenient storage space for hanging scarves, jewelry, belts and other accessories in your closet. Choose adhesive hooks to stick on your wall rather than using nails to hang hooks if your building has a policy against putting holes in walls. Adhesive hooks can hold these lightweight items and keep them organized, so you can easily find what you need. You can also use adhesive hooks in your kitchen or near your door to hold hats and other outdoor items. Bookcases and shelving units with cubbies make ideal places to put a wide range of items, from books and DVDs to knickknacks and collectibles. Since they’re available in several sizes, you can choose a size that works best in your apartment. Keep in mind that you can also purchase baskets for holding linens and other household items, and place these inside the cubbies or on bookcase shelves. This helps keep your shelves looking neat and tidy. Getting a storage chest for your bedroom, living room or even your dining room offers a convenient place to put items so that they’re out of view. This helps cut down on clutter in your home while also giving you a chance to spruce things up with a decorative chest, such as a rustic oak wood chest or an elegant cherry wood chest. You can also use the top of the chest to place books, lamps and other items. Some tables, such as bedside tables and end tables, are available with open bases that provide you with a chance to create extra storage space. You can slide smaller tables under the larger ones, and pull them out when you need them. You can also make use of the open area below these tables for storage. For example, you can place a basket with knitting supplies, magazines or other items under these tables and easily take them out when you want to use them. Our community in Foster City, CA has apartments available with walk-in closets for additional storage space. Please contact us for more information about our available Foster City apartments. As you may know from experience, it takes hard work to make a house or apartment truly feel like home. This is particularly true for those who don’t have a gift for interior decorating. If you have no idea where to start when it comes to decorating your home, here are three essential decor accessories for 2018 that you should buy to help you get started. Very few rooms are complete without a few tasteful wall accents. A small wall accent that is well-positioned can contribute a lot to a space. One essential wall accent is the accent mirror. Not only do accent mirrors have the ability to make a room feel even larger, but they can also disrupt the monotony of plain wall. Before you start buying accent mirrors for the walls in your home, you should figure out which mirror size best suits your space. For example, you may want to buy multiple small accent mirrors rather than one big mirror for a large space. You can arrange the small accent mirrors into a geometric shape. Also, be sure to buy mirrors with frames that complement the rest of the decor in the space. One way you can liven up a space and add your own personal touch is by putting artwork up on the walls. 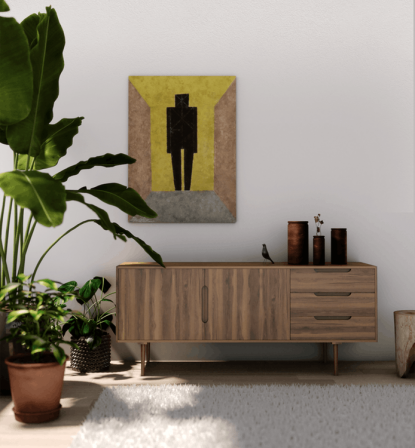 Ideally, you should choose artwork that speaks to you rather than just purchasing the first piece of aesthetically appealing artwork that you come across. You can put up a painting or a series of black and white photographs. If you decide to put multiple pieces of artwork up, you should establish a design theme to follow. Chances are, you’ve heard that accessories are the key to successfully putting together a nice outfit. Well, accessories are also the key to skillful interior decorating. Many professional interior designers will attest that throw pillows are one of the best accessories for a home. Since throw pillows are relatively inexpensive, they are considered an interchangeable accessory. Therefore, you buy throw pillows for different themes and different seasons. For example, you might buy floral throw pillows for the spring. You can choose throw pillows with quirky designs as long as the colors are complementary with the rest of the colors in the space. Reach out to friends and neighbors in your community for more tips when it comes to decor accessories for your home. If you would like to move into a new apartment and join the ThePlaza community, contact us. You can also visit our office to take a look at the Foster City apartments available. Chances are, you have a space in your apartment home that could use a little “oomph” to really make it pop. Or, you may be wondering how you can add your own personal touch to your favorite room in your apartment. No matter the case, you should consider buying a few nice area rugs to decorate your apartment. Here are five ways to decorate with rugs. Aesthetic appeal is not the only factor that you should consider when buying area rugs for your home. You should choose a rug made of the right fiber type for your needs. For example, if you’re going to place the area rug in a space that receives a lot of foot traffic, the material you choose should be durable. On the other hand, the area rug you buy for a bathroom should be made from a soft and absorbent material. When it comes to decorating your home with area rugs, you should choose vivid colors and eye-catching patterns. The goal is to select area rugs that stand out significantly from the other furnishings. Be sure to select colors that complement or match the rest of the decor in the space. In open concept and large rooms, you can use area rugs to define the space. For example, you buy a runner rug to separate the dining room from the living room. You can also use throw rugs to designate sitting areas for the adults and play areas for the children in the living room. If you want an area rug to be the focal point of the room, you should choose a rug that is beautiful enough to stand alone in a room. To make the rug the focal point, you should arrange furnishings around the rug. Another option that you have is positioning the furniture on the area rug. Rectangular- or square-shaped rugs should not be the only rugs that you consider. Choosing a rug that is uniquely shaped can be an easy way to add life and uniqueness to a space in your home. A circular rug is a step in the right direction, but you should consider shapes that are even more quirky. As you can see, there are many ways to decorate a space in your apartment home with rugs. You should reach out to others in your community for more advice when it comes to decorating with area rugs. If you’re interested in moving into a new home and joining The Plaza community, don’t hesitate to contact us. You can also take a look at the Foster City apartments available by visiting our office.